Yoshinori Muto's season could be over after he tore ligaments in his right knee in training on Wednesday. 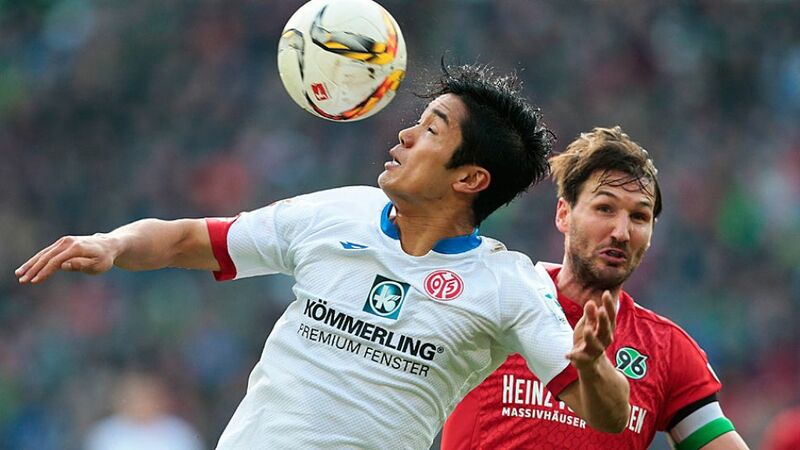 The Japanese international underwent a scan which revealed the extent of the damage to the same knee which he injured in Mainz's 1-0 win at Hannover back in February. He had only just returned to team training earlier this week, but has now torn the very same ligaments and faces the prospect of spending the next few months on the sidelines. According to the Bundesliga club, a return to action this season for the 23-year-old is "unlikely". Mainz are currently in consultation with a specialised clinic to discuss the best course of treatment. Since signing from FC Tokyo last summer, Muto has scored seven goals in 20 appearance in his debut season in the Bundesliga.